Game 48: Will today see an end to the Sox losing streak? The Red Sox dropped their 8th straight game last night after giving up a walkoff to Cole Figeroua and the Tampa Bay Rays last night. The Sox will look to finally get back on track tonight with their two big bats, David Ortiz and Mike Napoli, are both described as "banged up" according to CSNNE's Sean McAdam. "Banged up" pretty accurately sums up the Sox right now - McAdam also tweeted out that Shane Victorino has been put on the DL and Daniel Nava has been called up to fill in. 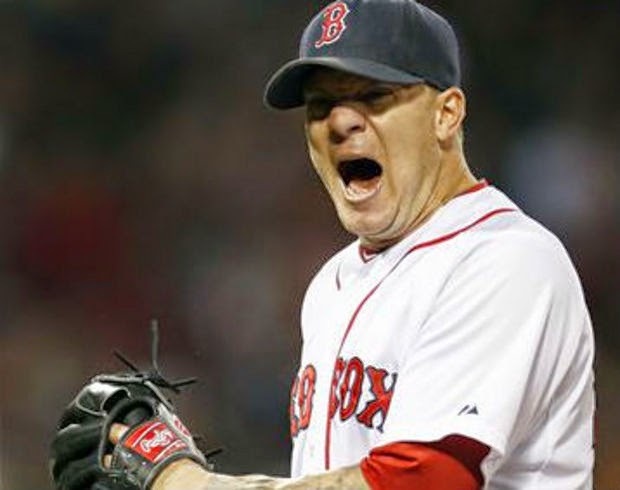 Jake Peavy will take the hill this afternoon against David Price and will look to replicate his May 1st start against Tampa, when he went 6.1 innings and gave up 2 runs on 3 hits and struck out 4. The Sox will be looking to him to be at his best, as they desperately need a win against Tampa Bay. David Price has been up and down season, and the struggling Sox will be hoping they'll catch him on his way down today.